1. Leisa has a few things to say about quilting! Please check her blog for more additional information related to our LFJ sew-along! 2. I've decided to submit my Art Deco Maxi dress by Ralph Pink to Project Sewn. If you like the dress, can you please vote for it? 3. Next Monday, my Etsy shop will be closed indefinitely. Since I sourced the notions from the Japanese producers in Japan, I maintain low prices. But after I move to Europe, I am afraid, I'd have to raise them taking into account shipping from Japan and VAT (I would buy in large quantities). So at this stage, I decided to close the shop down. But if you have any thoughts or if you think that you would buy these products for a higher price, don't hesitate to share with me and I might reconsider my decision. Meanwhile, I've got some remaining stock of Chakoner, some very fine tracing chalks! Besides white Chakoner, there are a couple of red and blue markers. 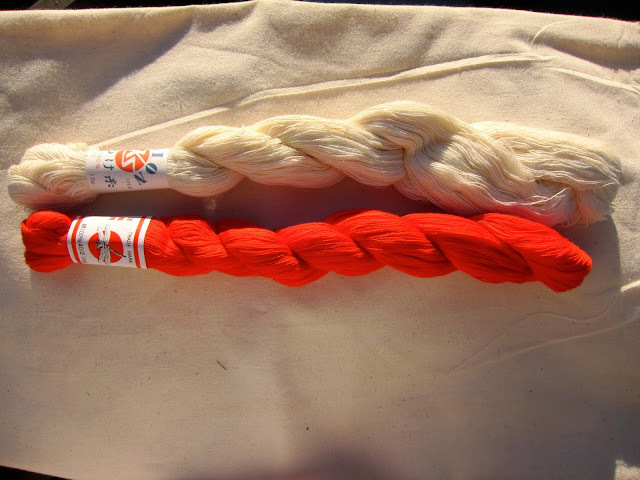 I also have some red, blue and green cotton basting thread! If you are participating in our sew-along, it might become very useful! 4. 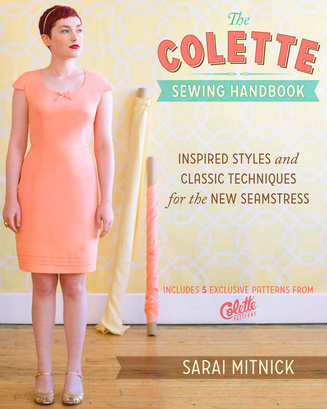 I am giving away the Colette sewing handbook. It's been sitting on my bookshelf forever. Two patterns have been used - the Pastille dress the Macaron skirt - but none of the sewing attempts was successful. It's just not a style which I would wear so I am more than happy to give this book away. To enter the giveaway, leave a comment and like my FB page. The giveaway will close and the winner announced next Wednesday, October 30th! The quilting tips are handy! Thanks! I have just received the white cotton basting threads from you.... it is great! Shipping was very fast! Good luck with moving! It is always busy and exosting time. Wonderful quilting tips and good luck on the move, I've never moved continents! Would love the cotton basting thread or Chakoner but will pass on the book thank you. Hey, we can meet in Europe instead and find a karaoke place! hahaha I didn't use that book either XD You should totally get this one though. Or perhaps you've already pre-ordered it and it's winging it's way over to your new home in the UK now? hehe :) Yes! It's an addiction in a way! Your maxi dress is beautiful and so unique! I will go like your FB page, too! I am so sad that your shop will be closing. I love the Chakoner. I had one, but it disappeared. I have no idea where it could have gone! Just found your blog and the sew-along! Perfect timing because I just purchased a French jacket pattern (vogue 7975). Looks like I have some catching up to do. :) Can't wait to see the finished product! I would love the Chakoner. I will keep my fingers crossed. I will head over to Facebook now. Oh leaving Japan is so tricky! I ended up hoarding tons of stuff, but you seem to be much more disciplined than me! I tried to vote for you, but for some reason it just popped me back here again (has it finished already?). And Ralph Pink - wow! Lets just say, my Christmas pattern list is very 'peachy' coloured now... Thanks for the tip! Hope you have a safe trip to the UK! More than that, they disappear when we most need them!